Janet Swan, our leader, and our choir can feel proud for making Sing for Water North 2017 happen this year. We were all so disappointed to hear that it wouldn’t be happening in Manchester that we decided to get a couple of local choirs together and have a smaller version of the Manchester event here in East Lancashire. The result was that it snowballed and we had 150 registrations and Sing for Water North was up and running. The weather forecast for the day was anything but promising with day long heavy rain on the cards. Thankfully we were allowed to use St James’ Church, Accrington, in the morning for rehearsals and we avoided a soaking. Janet and Olwyn (from Secret Singers Choir) taught us new songs whilst Jules refreshed our memories with songs from last year. Singing with all four parts was amazing and our voices filled the church. 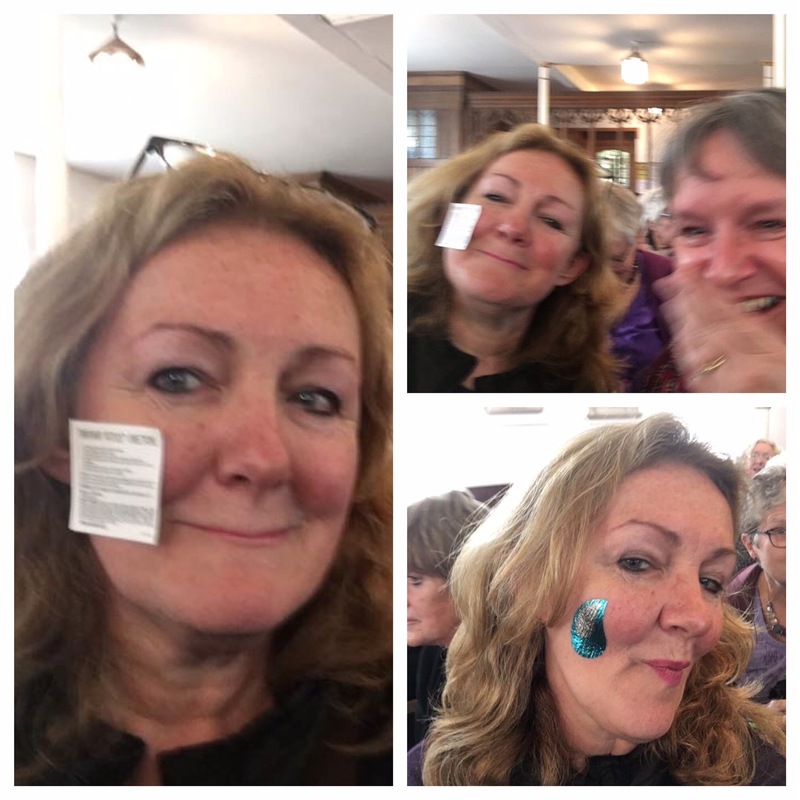 Lunch was eaten in the church, by most of us, with our dear Diane providing the cabaret, when she stuck the WaterAid temporary tattoo onto her face without reading the instructions. After much giggling, Sarah saved the day and Diane was ready to sing. By the time we walked down to Accrington town centre the rain had eased off and we were ready to sing. Despite the weather, a good group of people stopped to listen and the bucket collection went well. It was wonderful to sing in such a big choir which sounded so good even though we’d only had the morning to put all the parts together. We were quite damp by the end. Of course the main aim was raising money and we certainly did that. Altogether we have been able to give WaterAid £3,000 so that’s 200 more people with clean water and sanitation.. and all because of our singing. Diane and Sarah providing the cabaret. Thank you Janet for these excellent videos from the day.